Sheldon High School, Elk Grove Unified School District. We concluded our first Dream It, Be It program on Saturday, February 25 (4th Saturday of 4). Diane started the girls off with a nutritious breakfast, followed by a very fun ice breaker presented by Sherry. Linda Patterson presented Session 7, part of which provided an opportunity for the girls to interview Soroptimist members. At the end of Session 7, the girls were asked to complete an evaluation form, and then played Pictionary using careers. Florrie picked up pizza for lunch, which the girls loved (they do love their food). After lunch, we had a panel of speakers: Claudia Neidzielski, a realtor; Michelle Orrock, a lobbyist and former head of the Elk Grove CSD; Lisa Wood Harada, a speech pathologist; Cori (Renzo) Nichols, a photographer; and Kimberly McDaniel, Ph.D., Vice-President of Student Services at Cosumnes River College. Each speaker gave a talk about their background and career, followed by a Q & A session. The girls were very interested and asked excellent questions. After the session, we moved into the classroom next door where we held a graduation ceremony, which was attended by the parents, Assemblyman Jim Cooper and his assistant Chris Mateo, E.G. Councilwoman Stephanie Nguyen, EGUSD Board Chair Carmine Forcina, Sheldon H.S. Principal, Paula Duncan, as well as several Soroptimist members. 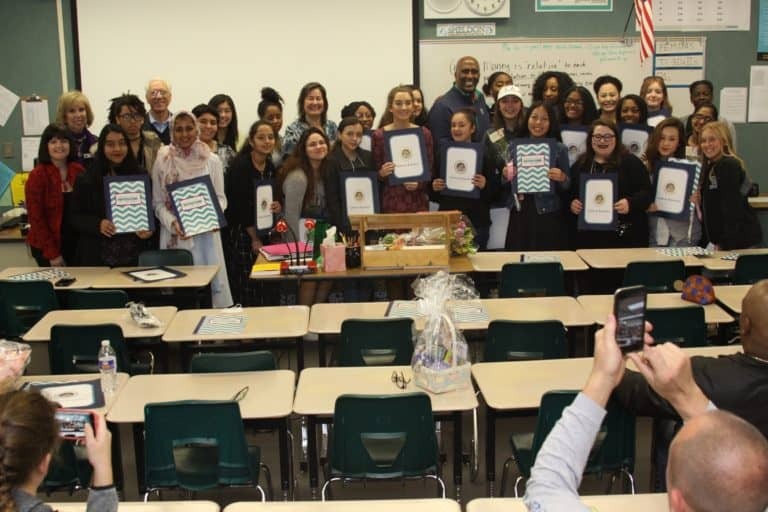 The girls were presented with Certificates of Completion of the Dream It Be It program, and Certificates of Achievement by Assemblyman Cooper from the State of California. Assemblyman Cooper spoke congratulating the girls for taking the time to invest in their future. Stephanie Nguyen congratulated the girls and spoke about the obstacles that women must overcome in their career path, and offered to assist them in any way possible. Carmine Forcina also congratulated them and spoke about the good work that Soroptimist does in our community. Sharon presented Dorothy Vranesic with a thank you card for all her hard work and support of our program, which included 2 tickets to Martinis & Merriment. Karin generously donated a gift basket and we drew names from the list of girls who had attended all 4 days to determine the winner. We had additional prizes donated by Paula Duncan and Dorothy Vranesic (teacher at Sheldon High School who was our contact and instrumental in recruiting the girls for us and attended every DIBI session). Karin Lindner donated a beautiful full sheet cake which was served to our guests. Upon leaving, the girls were presented with a large goody bag filled with amazing items donated by our DIBI Committee members and the Elk Grove Chamber of Commerce. Overall, this program was a huge success due entirely to the efforts of the DIBI Committee (it was truly a collaborative effort), and the fabulous support we received from Sheldon High School. A real team effort by everyone who participated.